I am drowning in Girl Scout Cookies. (#firstworldproblem, I know.) As a result, I am forcing Girl Scout Cookies onto and into every meal in every possible way. First up? 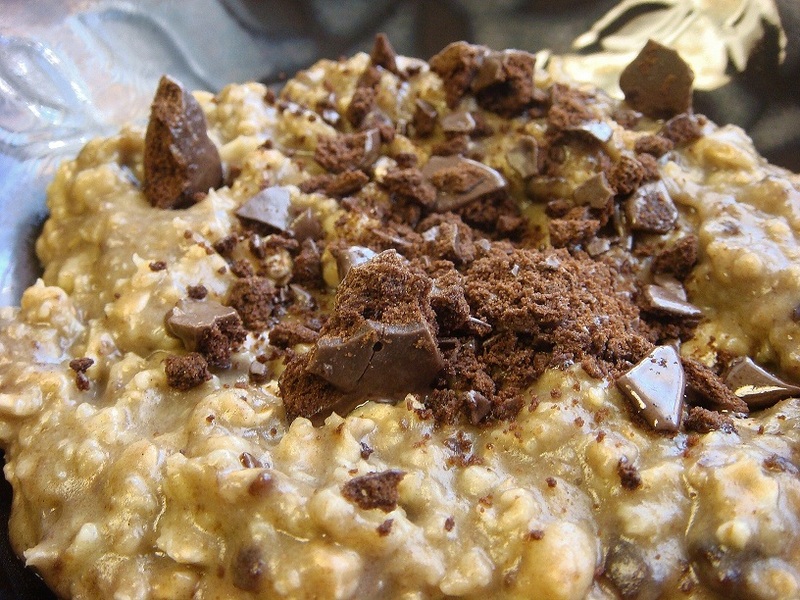 Thin Mint oatmeal. I’m not a huge fan of super sweet things, but if you are, you might want to double the syrup and cookies, and maybe throw in some chocolate syrup or something. I wanted to keep this as healthy as a bowl of oatmeal with cookies in it could possible be. Heat oats, milk, water and salt over medium heat. After two minutes, add creme de menthe syrup and half Thin Mint mashup. Heat until bubbling. Add banana and mash up completely. (This will thicken the mixture but not affect the flavor.) Spoon into bowl and add remainder of Thin Mint crumbs. Total time? 8 minutes total — nice and quick. Cost? $3.50 Girl Scout Cookies, $2 mint syrup, $2.49 quick oats, 20¢ banana. Overall success relative to expectations? 8 out of 10. This was pretty much what I expected — a healthy oatmeal breakfast with a little treat added in. I didn’t think the mint came through enough, but I didn’t want to add more syrup and thus more sugar. I’m not sure I’ll make this often because I’m more of a savory breakfast girl, so expect some more Girl Scout Cookie-related recipes because I’ve gotta get rid of these things.